Writer and religious rebel, William Blake sowed the seeds of Romanticism in his innovative poems concerning faith and the vision that inspired him throughout his remarkable life. Whether describing his own spirituality, the innocence of youth, or the corruption caused by mankind, his writings depict a world in which spirits dominate and the mind is the gateway to Heaven. 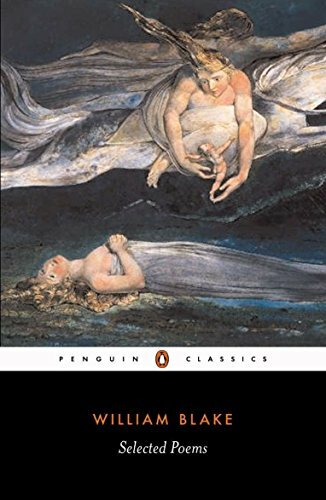 Presenting many of Blake’s major works in their complete texts, alongside extensive passages from such poems as "Jerusalem" and "The Gates of Paradise," this collection spans his entire poetic life, from the exquisite lyrics of Poetic Sketches to Songs of Innocence and Experience—a compelling exploration of good and evil. Together, they illuminate a self-made realm that has fascinated artists and poets as diverse as Wordsworth, Coleridge, Yeats, and Ginsberg. This is the perfect introduction to Blake’s unforgettable poetry.